Cause and effect. Action and opposite reaction. Probability and outcome. These are a few of the staples of critical and deductive thinking. Knowing the cause or the action, we can calculate with varying degrees of probability the effect or outcome. However, when we are given only the effect or the opposite reaction, then working backwards to determine the cause can be more challenging, just ask any police detective. . . or research scientist. 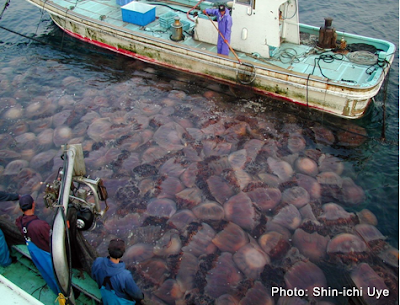 Take the case of sea jelly blooms. I have written of these several times before, often dramatically referring to them as invasions, although there is no evidence of any coordinated attack plan on the part of these invertebrates. But the reasons for the sudden eruptions in populations throughout the world is still a mystery. 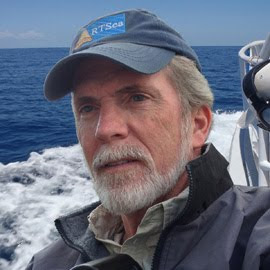 Marine scientists have theories but since they live in a world of facts and empirical evidence, they do not promote them as anything more than untested possibilities. And that's fair. But for the moment, it appears that the definitive reason behind sea jelly blooms - whether it is due to overfishing of their natural predators, rising ocean temperatures, nutrient pollution or ocean acidification - will continue to remain a mystery. Two recently published studies on the subject came to opposite conclusions regarding the hypothesis that sea jelly blooms were increasing in frequency. One study, published in BioScience, by a group of researchers affiliated with the Global Jellyfish Group examined available data on sea jelly populations. Citing deficiencies in long-term records and noting that for some species there have been reported declines, the study concluded that a global increase in sea jelly populations could not be substantiated. The study did not discount the possibility of an increase but felt that there was not sufficient data to scientifically prove it. On the other hand, a study by researchers from the University of British Columbia and published in Hydrobiologia concludes that "jellyfish populations appear to be increasing in the majority of the world's coastal ecosystems and seas." The study bases its assertion on the analysis of scientific and anecdotal records of sea jelly blooms from 1950 onward, placing the accounts, geographically, into 45 Large Marine Ecosystems (LME). By studying each LME, using "fuzzy logic" to balance the reliability of scientific versus casual reports, the researchers were able to determine that 28 LMEs showed trends towards increasing populations, 3 actually showed decreases, and the remainder appeared stable. So, we find ourselves at a standoff, not yet able to analyze the root cause or causes until the scientific community can agree as to whether the problem actually even exists. However, as reported by SeaWeb, both studies still view it as an open case. 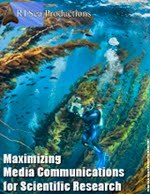 In the meantime, reports of sea jelly blooms - often ruining commercial fish catches, damaging fish farms, or clogging intake pipes at power plants - continue and the challenge persists for the scientific community to validate whether it is actually happening with greater frequency and to determine the cause so that a possible solution could be proposed. Otherwise, Joe's Crab Shack could become Joe's Sea Jelly Bistro someday.